Hacking is your weapon. Control the city of Chicago. 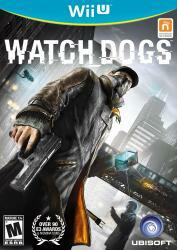 Become Aiden Pearce, a brilliant hacker but also a former thug, whose criminal past lead to a violent family tragedy. While on the hunt for those responsible, you will be able to tap into the city�s omnipresent security cameras, download personal information to locate a target, control systems such as traffic lights and the electrical grid to stop a chase, and more. Now the city of Chicago has become your ultimate weapon to exact your own style of revenge.